Ordering a new cheque book is now easier than ever for Canara Bank customers! Now Canara bank customers place a new cheque book request for savings account without visiting the branch. Canara Bank is the largest public sector Bank in the county and you can open a regular saving account with minimum 1000 deposit only. You can apply for Canara saving account online now. Normally to get a new ChequeBook, you need to visit the Bank and fill the request form. 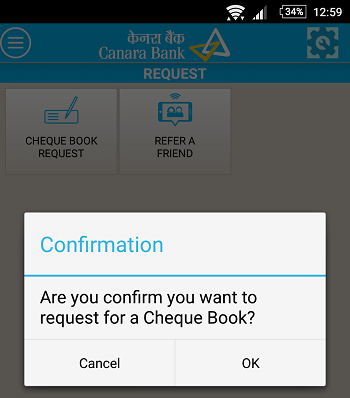 But now Canara Bank customers can directly request ChequeBook from the mobile phone. 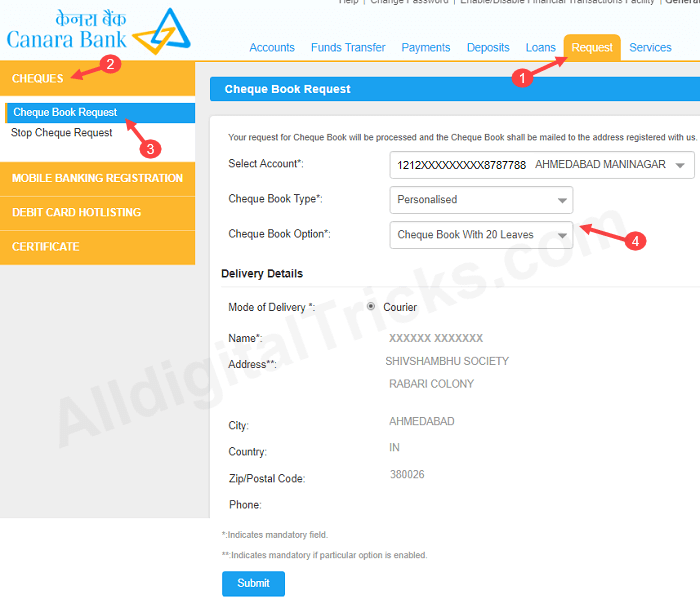 Below are the easy, quick and convenient channels (net banking & mobile banking) to order a Chequebook online in Canara Bank. You can use Can Mobile banking application and net banking facility to order a new chequebook. 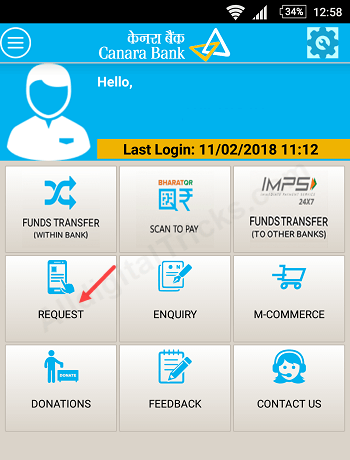 Canara Mobile Banking and net banking can be activated online. Can Mobile banking application is available for Android and iOS platform. You can access and manage your bank account online on the smartphone. 1: Open Can mobile banking application and log in. 2: After login, tap on Request. 3: Now tap on Cheque Book Request. 4: Now confirm your request by tapping on ok. Done! You will receive your new cheque book within 15 days. You can also use Internet banking facility. 2: After login, click on Requests. In requests, click on Cheques — Cheque Book Request. Select your account and click on submit. So by following these two ways Canara bank customers can request new cheque book online without visiting branch. 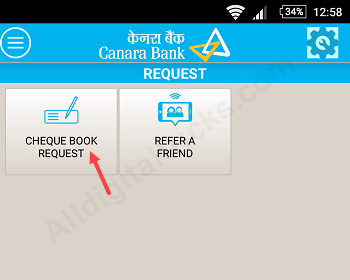 Do you know, now Canara Bank customers can apply for new ChequeBook by SMS, just send an SMS from registered mobile number.